Twenty nine Volunteers including our five Transition Year students turned out for the Sunday Litter Pick on 31st March. Most of the usual areas were covered and the group also had time to cover some rather heavily littered spots. A whopping eighteen bags were collected which, when segregated, yielded five bags of recycling. Every day during the previous week, some of the Volunteers picked litter and in total collected four bags, three of waste and one of recyclable items. 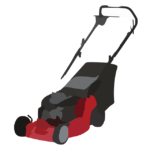 Grass cutting was the main work during the week together with projects at the allotment – sorting waste and turning the compost. Strimming and clearing verges on the Old Fort Road were carried out on Wednesday and the results were excellent. The information sign and map for the Pike Corner Walking Route was installed on Wednesday. This was the final piece of the outstanding infrastructure for this popular route. We are delighted with the reaction to the signage and the extra seat installed along the route. 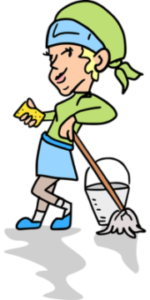 The unexpected good weather had many residents and businesses busy cleaning their premises and adjacent footpaths and kerbs. 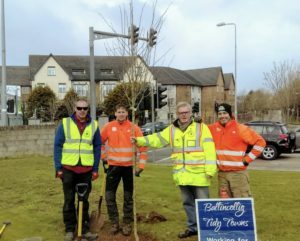 Ballincollig Tidy Towns are rolling out WASH DOWN SATURDAY. On 27th April from 10am to 2pm we will be hoping for a large attendance. The point of this day is to have residents, businesses, groups, clubs, volunteers come out and wash down and clean signs, seating, bins, walls, gutters and footpaths in the various estates, streets, clubs and all areas of Ballincollig. We would appreciate everyone’s help in making this a success. Keep posted for more information in the coming weeks. 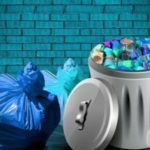 This day will be part of the National Spring Clean initiative which is officially underway for the month. We launched our new page images of ballincollig past on the Ballincollig Tidy Towns website last Friday and the feedback is very positive. As a result, many people have begun emailing us their photographs going back over the years. Please send us any old photos with as much information as you can and we will display them on the page for all to enjoy. If you have photographs of people, shops, buildings, streets etc. through the years, send them to us at imagesofballincolligpast@gmail.com. 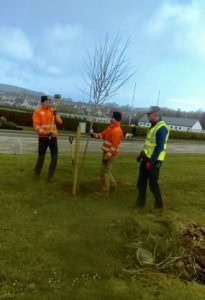 However, when they arrived, they had three lovely trees for us to plant in Pairc Cul Rua. They even helped us to plant them. 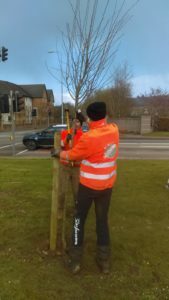 The trees are Paul’s Scarlet Tree (Crataegus “Pauls Scarlet”) Pauls Scarlet can also be used as a shrub in large gardens as it is inclined to grow width ways rather than in height . It has wonderful large clusters of red flowers from March to May.